I am so excited to share with you my very own crochet pattern! 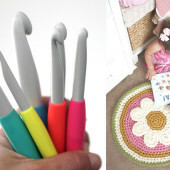 It is very simple for those of you who are beginning crocheters or a good first project for those of you who want to learn how to crochet. 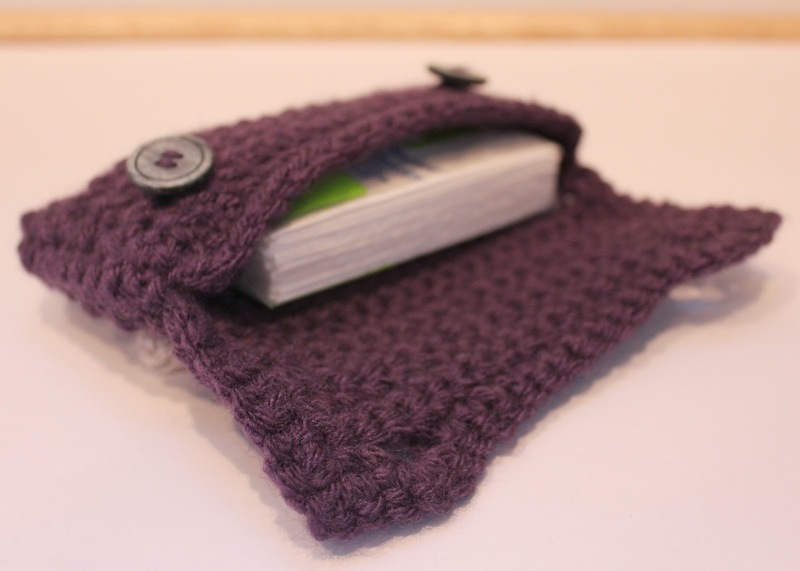 I present to you, the Crochet Clutch! It closes with two buttons on the front and the back is embellished with a flower appliqué. It is the perfect size to hold credit cards, coupons, mints, make-up, pocket tissues, and much more! 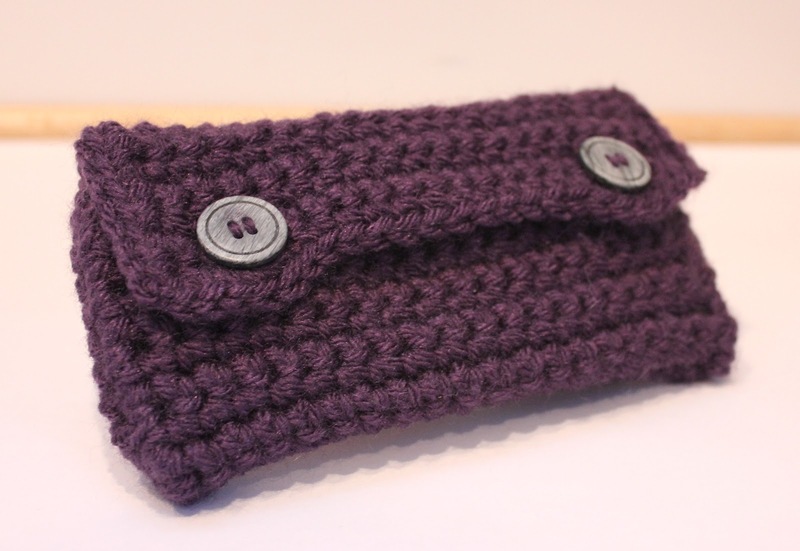 A great accessory for your diaper bag or purse. And because I like you guys so much, I am giving you the pattern for free! Gauge: 14 stitches = 4 in. Row 32: Sc in first 2 stitches, 3 Sc in 2 chain loop, Sc 13, 3 Sc in 2 chain loop, Sc in last two stitches, do not turn, do not fasten off. Continue to Sc around all 3 edges (2 Sc in the corner stitches) until you get to the first stitch of Row 32. Join to first st in Row 32, finish off, weave in ends. Fold so you are leaving a 2.5 inch flap on top. Sc side seams together, fasten off, weave in ends. 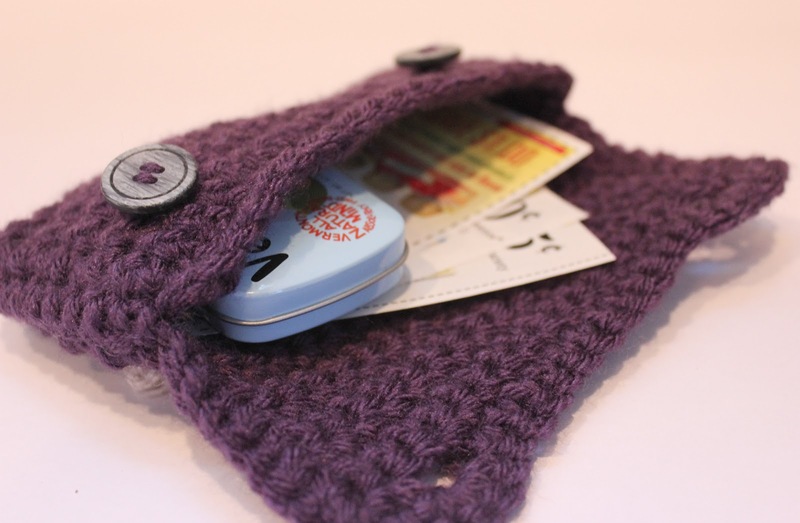 Turn inside out and sew buttons on front of pouch so they match up to the button holes. I used Alli Crafts Rounded Five-Petal 3″ Flower Applique with a button in the center. Follow her free pattern or you can choose to embellish as you wish. This is my first time writing a pattern so let me know if they are any kinks or if you have questions! Thanks Kristi! I just linked up and am following you as well! So cute! I think I will try this ! I have Pinned your Clutch on my Pinterest!! Yay! Thanks for Pinning! Let me know how it turns out if you decide to make it! Aww… supercute. I love this! 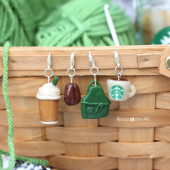 That is absolutely adorable, will have to dust off my crochet hook. Thanks Ali! Let me know how it turns out if you end up making it. Yay, yay, yay! I love this. Thank you so much for posting the pattern. I have to make one of these since all I get to carry around these days is a diaper bag. At least this would keep all my things seperated and CUTE! I am in the same boat! Not able to carry a purse anymore, so this is a great solution for my credit cards, license and other must have items for my diaper bag. I am going to link up right now! Thanks for the invite!! Oh very cute, I do a little crochet and I think I could tackle this. Love the purple color you chose. Found you at Happy Hour Projects. I would love for you to strut your stuff at my weekly Anything Goes linky, fri-monday. Thank you Kara! I have been admiring your blog and all of your beautiful crochet! Thank You for featuring and for Pinning this!!! I just shared on your party on my fb page! BTW, couldn't get your button to work. I think something is wrong with the HTML code? So simple and cute, with so many options for say stripes or colors one loves. A great little gift to have on hand too! Thanks so much for sharing on Craft Schooling Sunday! Thanks for letting me share! I did make some 2-color versions but ended up loving the solid color the best. But I think stripes would be a great idea!! This is so lovely! This makes me wish I could crochet!! Thanks for sharing at oopsey daisy! 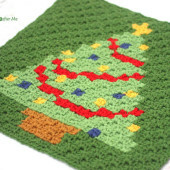 I was looking for easy projects to make to sell for Christmas and to give as gifts this is perfect thanks for sharing I will let you know how it comes out. I would like to know how to print ONLY the crochet pattern. Every time I try to print one, I wind up with all the comments too. This usually wastes about 2 – 3 extra sheets of paper. Muriel, You can use the mouse to highlight only the instructions, then in the print menu, under PRINT RANGE choose "selection" and it will print only the words you have highlighted. I like the idea of this pattern and will try it. I don't carry a purse normally but when I do go out with a bag and no pockets it would be nice to keep my ID, cash and things in. I was thinking it would be neat to sew a button on the back and make crochet flowers with a hole in the center ( don't use the magic ring) and that way you could make several different fashionable flowers and attach them onto the button and change them out at will. Hi Sarah! I just bumped in to your blog yesterday and here I am again browsing over your posts. I grab your button so I can easily check you blog. It's great! 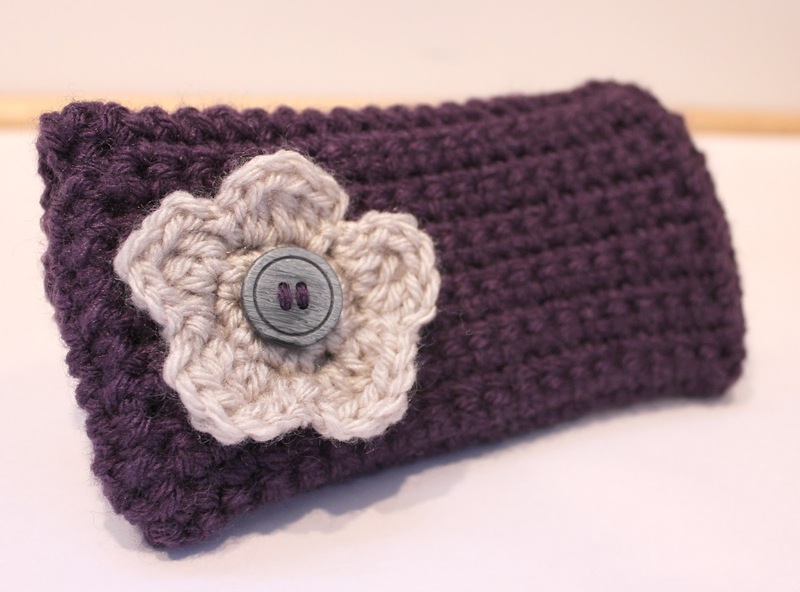 I made a crocheted clutch bag too on my blog. You can check it on misselayneousthings.blogspot.com. Thanks! 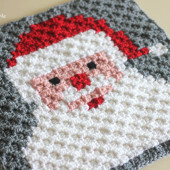 I really enjoyed looking over your crochet projects it inspires me a lot. I'm soo going to try this with PLARN! ^.^ I think it'd be GREAT for that!! Except the button part may be a little difficult, but I wanna try! lol. So I just finished this and I love it! But instead of doing a sc to join the sides I used a chain stitch and i think it makes it less bulky. 😀 Great pattern though! I love this pattern. I am going to definitely try it. your site is officially one of my favs now. I even bookmarked it in my favorites…..might have to make it my homepage!! thanks for the pattern! I just made one for a wedding we will be going to in the next few weeks. Now a days branded clutches are available there on to grab. This handmade clutch posses fabulous beauty that I haven't seen in any other clutch. I made something similar for my husband. He is in a nursing home and kept losing his cell phone. I made a little pouch, put a string on it and he wears it around his neck. I've since made several for people at the home. Can someone tell me what '3 Sc in 2 chain loop' means? What's the 2 chain loop? Love this, I am fairly new to crocheting and I decided to make this. Your directions were so simple and the clutch is totally cute. I also taught a client at my work how to make one. we made a small change to it because we had no buttons. just made a loop and flower to close it instead. Wow this is great, now following! 🙂 Love this blog, everythings so incredible!! So cute! I love the little flower!